The Washington Post (5/16/18) characterized Nebraska congressional candidate as “far left” because she supports universal background checks, raising taxes on the wealthy and decriminalizing marijuana. 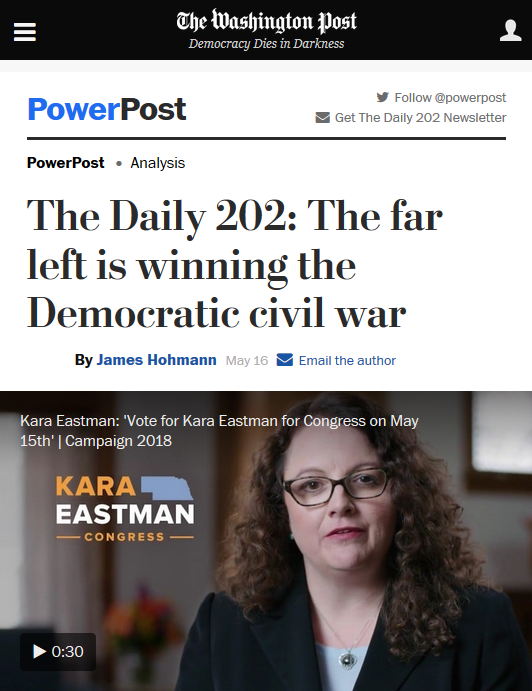 “The Far Left Is Winning the Democratic Civil War” was the headline over a Washington Post report (5/16/18) on the results of recent primary elections. So what counts as “far left” to the Washington Post, the newspaper owned by the world’s richest human? There were also some candidates who were implicitly placed in the “far left” by the fact that they successfully challenged “Democratic moderates,” thus “causing a new bout of heartburn among party strategists.” For example, Pennsylvania congressional candidate Susan Wild was worrisome because she defeated John Morganelli who “opposes abortion rights and ‘sanctuary cities,’” and whom she criticized for “for speaking positively about Trump and tweeting that he was open to taking a job in the administration during the transition.” You know, like “moderates” do. But what about those “far left” issues? Well, raising taxes on corporations and the wealthy—which is, of course, what Kara Eastman proposed—is a quite popular position. The latest polling on this was a CBS News poll from last year (10/27–30/17) which found 56 percent in favor of raising taxes on large corporations, and 58 percent wanting higher taxes for “wealthy Americans.” This was, of course, before the massive tax breaks given to corporations and the wealthy by the Republican Congress. As for marijuana, broad majorities are in favor of legalizing it, according to polls by Quinnipiac (63 percent, 4/20–24/18), CBS (59 percent, 4/11–15/18), Pew (61 percent, 10/25–30/17) and Gallup (64 percent, 10/5–11/17). With universal background checks, we actually have polling on the impact that position would have on people’s likelihood to vote for a congressional candidate. “Would you definitely vote for or definitely vote against a candidate for Congress who wants to require background checks for gun purchases at gun shows or other private sales?” the Marist poll (4/10–13/18) asked. Eighty-six percent said they would vote “definitely for” a candidate who took that “far left” position. 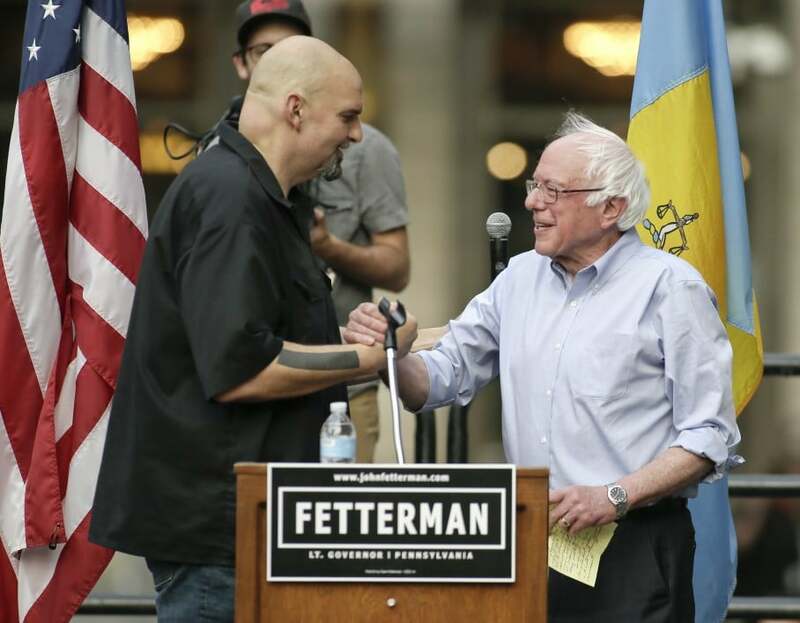 One starts to get the suspicion that these candidates are not really “far left” at all, and Jeff Bezos’ Post is just telling you that they are in order to scare you away from voting for them.